A BREATH OF MAGIC TO YOUR WEDDING RECEPTION,.. 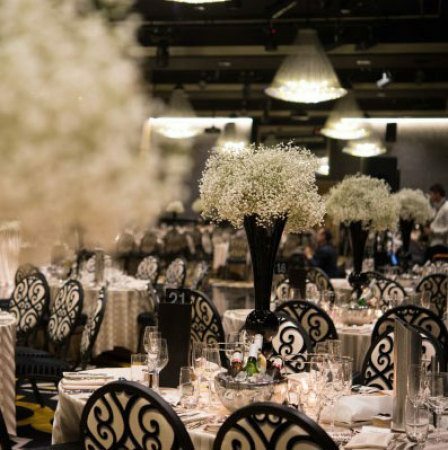 Feature large mass arrangements of dainty white babyï¿½s breath arranged in tall black vases to decorate guest tables at your wedding reception. A striking yet simple black and white decor for an elegant, formal wedding. Order your table centrepieces online or customise your own design by clicking on our quotation enquiry link. Alternatively, send us an email directly to enquiries@bridesinbloom.com.au. Order Cut-Off: Minimum 7 working days prior to wedding.